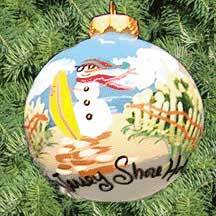 “Jersey Shore Holidays” starring the snow man the artist calls “Snow Dude.” He is painted on a 3? 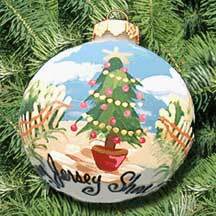 glass ball on the beach between the dunes by Jersey Shore native, artist Sandra Sutherland. 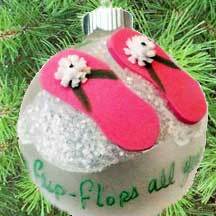 Her ornaments can be found on boardwalks and in boutiques and gift shops from Asbury Park to Cape May.